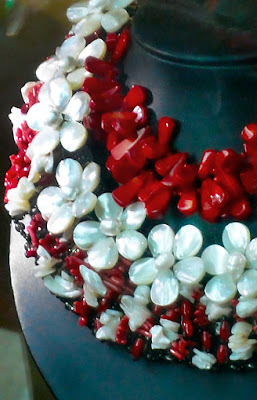 They are made by using various materials such as pearls and semi-precious stones plus silver corals lapis-lazuli and other materials these combinations blend almost perfectly with most dresses. 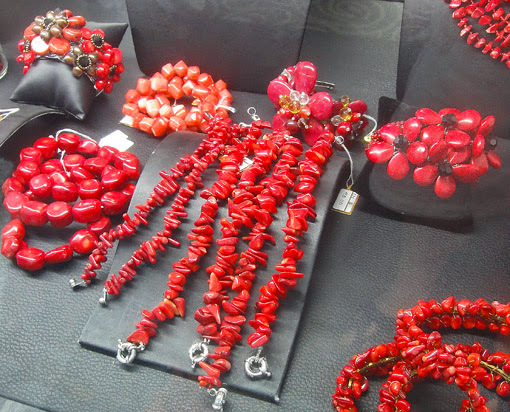 Since ethnic jewelry is usually not very expensive it's easy to buy it in different colors to always have one which fits. The only problem is sometimes that these items become quite bulky and often have sharp edges and corners which can be not as comfortable in many cases. 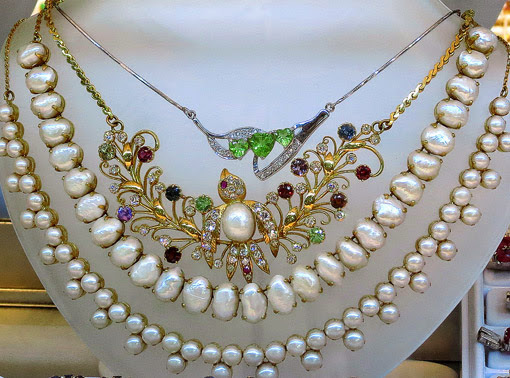 The jewelry should be tried a few minutes before buying them also antique jewelry is available. Ethnic Jewelry let women shine. Ethnic jewelry showing ancient culture and traditions. The internet is the tool to open this to a larger audience presenting this to almost everybody. This are great creations from artists from around the world with a folklore touch and not the pure commercial streamline. Ethnic jewelry mostly consists of local raw materials used to create a natural touch. 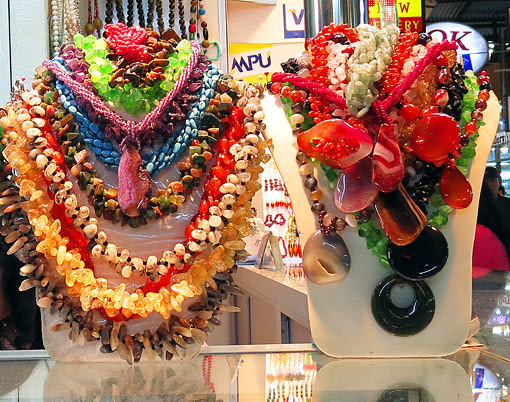 Plenty of colors and local elements such as beads balls pearls semi-precious stones metals mother of pearl corals wood and more give an exotic touch. 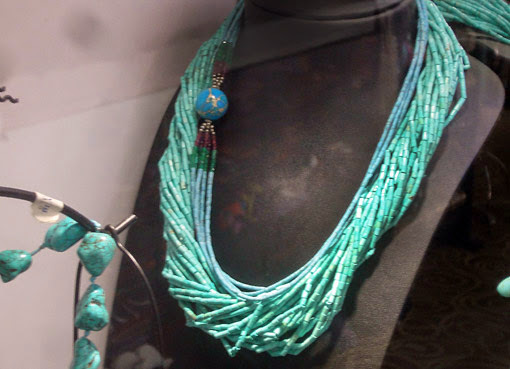 Unique and attractive Myanmar ethnic jewelry. 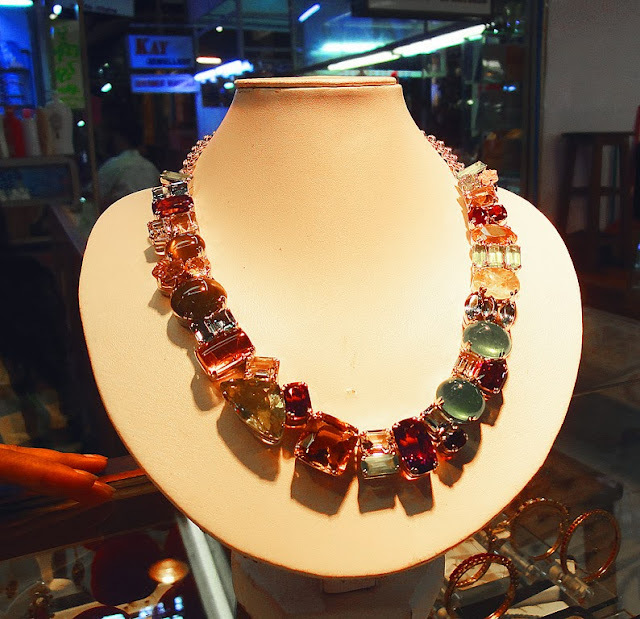 The Bogyoke Market in Yangon is one of the most attractive bazaars in the Orient for exotic jewelry and gemstones, here are pictures to discover the unique pieces of desire. 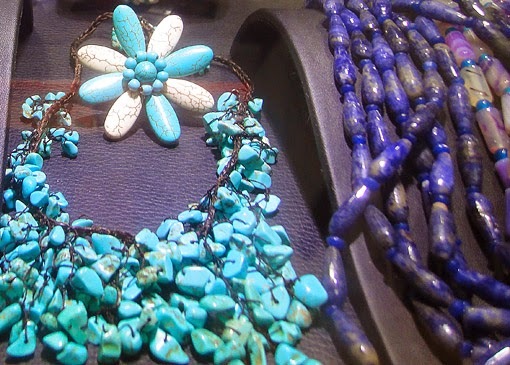 All objects on display are made from local gemstones and metals such as silver and gold to make sure that the whole is really a genuine piece of ethnic jewelry read more. Creative people > great designs. Designs are real genuine and unique because made by hand. Since all women somehow want unique decoration they buy it because that’s it. Although all this slowly move to mainstream and machinery is used Myanmar (Burma) still has a unique tradition and style for this since the ancient background ideas are often visible. 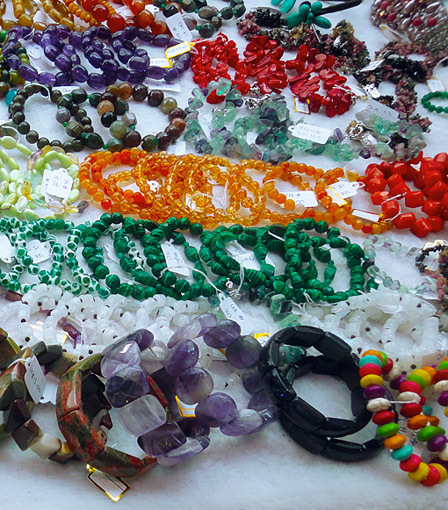 Some semi-precious stones and corals used in the creations such as rings, necklaces, bracelets and other are associated with astrology and myths. People interpret the power of bringing luck to the ones who wear them. 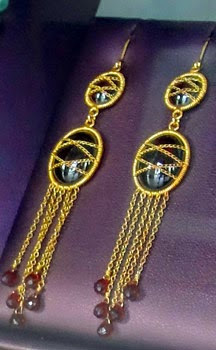 Here you can find genuine ethnic jewelry. They come in myriads of design and colors, values and combinations. 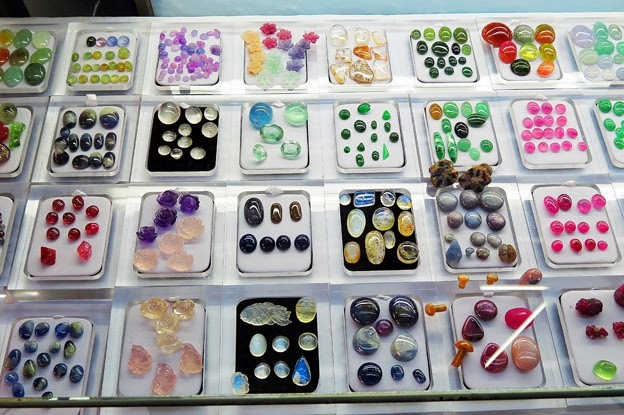 Since Myanmar has abundant resources in precious stones of different qualities beautiful designs still can be bought for good prices after some bargaining. Modern women like to mix body decoration in various styles to fit modern outfit to show some adventurous. They virtually brush away the dull stuff to make the person shine again. Number ones are pieces of multi-colored gemstones. A good match with various dresses having some kind of ethnic elements in the pattern. Jewelry novelties and accessories are just important for the right composition to let you stand out from the crowd and that is easy with this and it is a useful thing to make a personal statement by including various blending textures and materials with your outfit, all made from local ethnic jewelry. Since Myanmar has 135 ethnicity spread over the country there are attractive tribal jewelry too and not only for watching just buy them on line in Myanmar. E.g. to wear a rather bulky piece around your neck plain cloth colors on a bigger person are a good match. 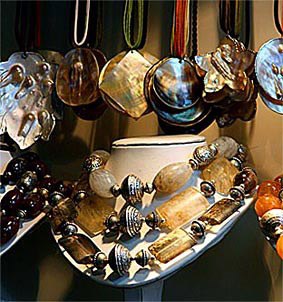 Always local objects are used in the piece of jewelry such as shells and colored glass pearls give a rustic look. 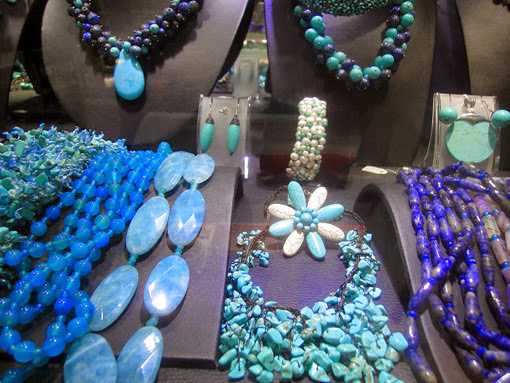 The best to but these pretty things is when visiting Myanmar's Bogyoke Market which is the number one address for it in Yangon they also sell antique jewelry. 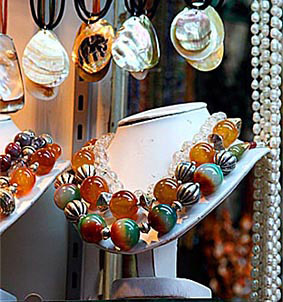 In the Bogyoke Market, many shops have collections of ethnic accessories on display to cover this jewelry segment and most are really unique and exotic. 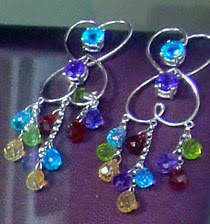 They also use colored gemstones for an outstanding style buy a great jade bangle or bracelet for a great look. Great Myanmar ethnic jewelry is available in this unique Bazaar some even online most popular jewelry items with peoples on a journey to Burma are the rough ones. Myanmar ethnic jewelry are created in myriads of design and colors values and combinations. 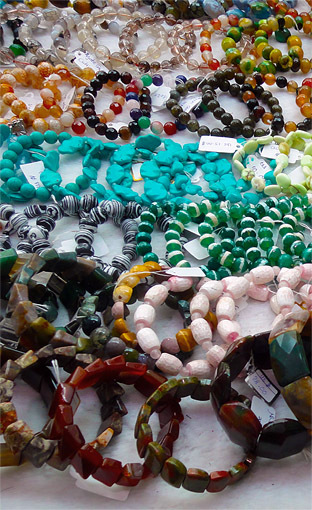 Since Burma has abundant resources of precious stones in different qualities beautiful ethnic items still can be bought for good prices after some bargaining. 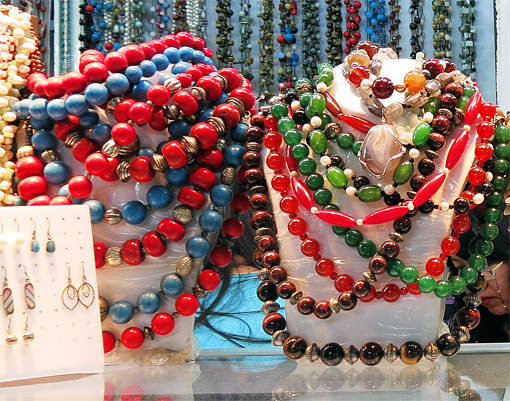 Ethnic necklaces with bright colors and unconventional design have become the hot stuff mainly among younger people. 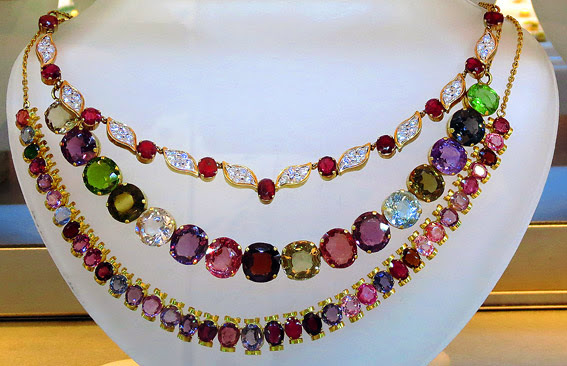 Current trend are finally old trends because of necklaces rings and bracelets are somehow timeless gemstone jewelry. Having some kind of ethnic elements in the pattern. Accessories are just important for the right composition to let you stand out from the crowd and that is easy with this and it is a useful thing to make a personal statement by including various blending textures and materials in your outfit. A bulky piece of tribal jewelry. Wearing that around the neck plain cloth colors on a bigger person are a good match. 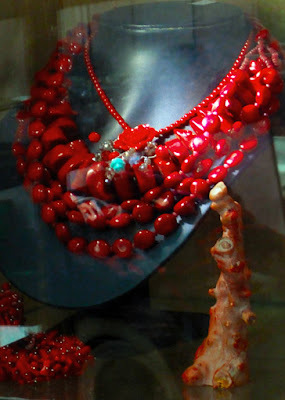 Often shells and colored glass pearls are used and give a rustic look. 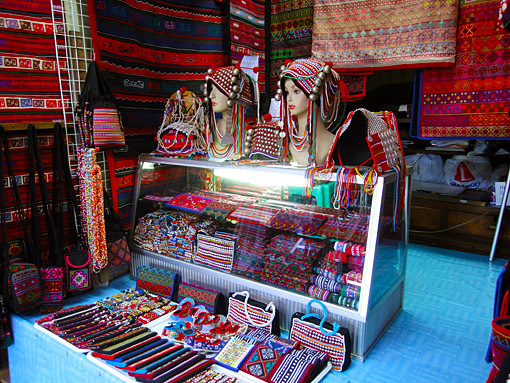 The best to but these pretty things is when visiting Myanmar and have a look in the Bogyoke Market which is the number one address for it in Yangon. In this genuine oriental market many shops have collections of accessories on display to cover this segment and most are really unique and exotic. 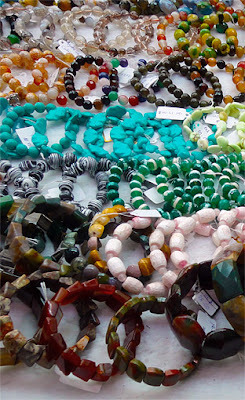 They also use colored gemstones for an outstanding appearance, buy a great jade bangle or bracelet for a interesting look.